Burglary Testing - ProGuard DT has been certified EN 1143-2 in Grades DI and DII by ECB•S1 . 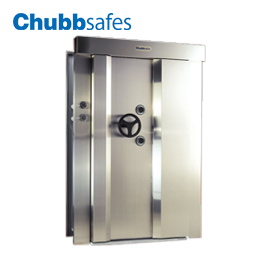 This fully graded burglary protection means that insurance ratings for the safe are not effected by the drawer trap function. A range of attack tools were used to test ProGuard DT’s level of resistance, from basic tools to sophisticated thermal and electrical equipment. Lock Option - The drawer trap is locked with a Class A key lock. 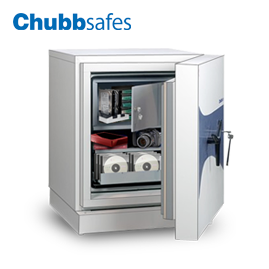 The safe can be fitted with either a high-security electronic lock (Class B) or a key lock (Class A) . 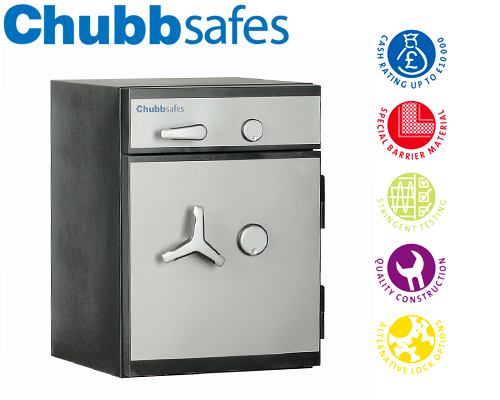 The primary lock on the safe can be complemented by a combination lock or both a key lock and electronic lock can be fitted. Key Features • The three-way boltwork is constructed with solid steel bolts. 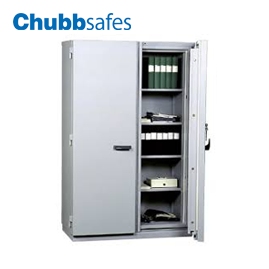 • A Class A mechanical key lock or a Class B highsecurity electronic lock, approved in accordance with EN 1300, are both available as primary lock options for the safe. Electronic locks increase the level of security and prevent unauthorised access to the safe..
• ProGuard DT is a fully certified deposit safe, tested and approved in accordance with the European standard, EN 1143-2, in Grades DI and DII. 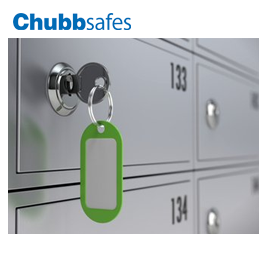 • Importantly, the EN 1143-2 certification means that insurance ratings are not affected by the addition of the deposit function to the safe.